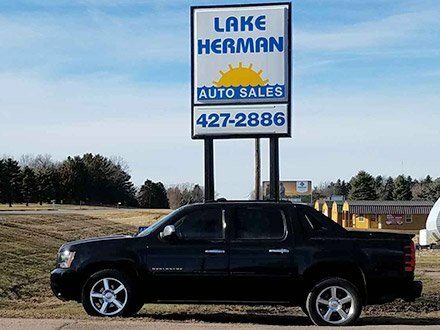 We want to share all the nice things that our customers have to say about us here at Lake Herman Auto Sales in Madison, SD. Please read our wonderful customer reviews or submit your own testimonial below. I'm still amazed at the outstanding service we received when purchasing a Jeep Compass this year. I looked for several months for the perfect Jeep for my business . My husband mentioned to Dan, owner of Lake Herman Auto Sales, that we'd like a Jeep Compass, and before we could blink an eye he had it found, the color, the year, the amenities I wanted, not only did he do all of that, but he delivered it to our home here in Sioux Falls. Dan goes beyond the norm with a professional level that takes a 2nd to none! Definitely the type of company I like doing business with, and will definitely again, and again! Bought my first vehicle from Dan and Cindy just the other day and I am recommending them to everyone! They knew what I wanted and went looking for it. Didn't take long and he had my new vehicle for me. I so appreciate all of their work and dedication to me and what I wanted for a car. Thank you Dan and Cindy!! I have purchased 17 vehicles from Dan and I must say that I feel I have always been treated fairly and with respect. Any minor problems have always been taken care of and Dan and his staff are always professional and courteous. If you have a need for a good vehicle, this is the place to purchase it, no drama, no hassle, just great customer service and a vehicle that will take you anywhere you need to be.